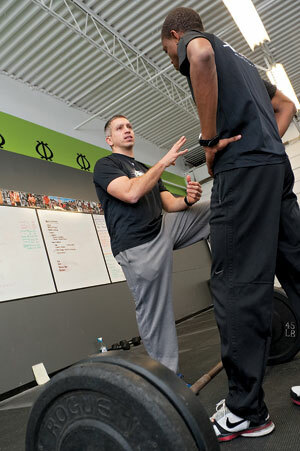 Steve Liberati outside his fitness center, where (photo below) he coaches and mentors local teens. ALUMNI | Steve Liberati, BE ’04, always had a feeling he was meant to be an entrepreneur, but you might say it was his calling that found him. His first job after graduation was in finance, but additional work at his father’s pest-control business brought him into urban neighborhoods in Camden, N.J. “I got to know some of the kids as I worked in the neighborhood and decided to offer them free athletic training to help keep them off the streets,” Liberati says. And in just a few short weeks, his good intentions turned into a full-time business called Steve’s Club. Founded in May 2007, the club is a fitness program for high school athletes and non-athletes who cannot afford high-level fitness coaching and mentoring. Finding a space for Steve’s Club was Liberati’s biggest initial challenge. After outgrowing a community room in a housing complex in North Camden, the program found another temporary location courtesy of the Police Athletic League. “Since then, we have found a permanent home shared with CrossFit Tribe—another business venture—in [the nearby town of] Pennsauken,” he says. Another business venture? That’s right; in fact, Liberati has quite a few now. Four, to be exact. 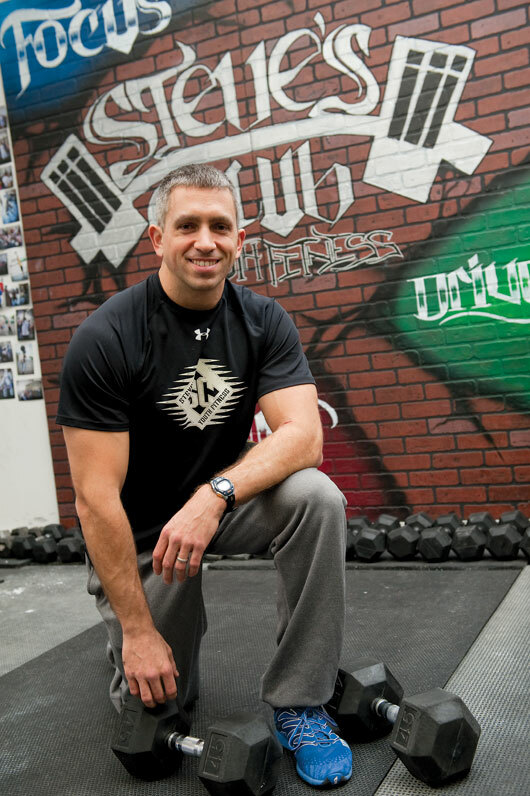 While Steve’s Club was searching for a location, Liberati and the youngsters sometimes worked out in a local park, where, he says, “I began training adults after the kids were done, and CrossFit Tribe was born.” CrossFit is a fitness and conditioning program that licenses individual gyms to use its name, and Liberati’s second business venture is an affiliate of that network. One of Liberati’s early visions was to someday watch his concept grow, with the hope that other CrossFit affiliates would begin running their regular affiliate and a Steve’s Club youth program side by side, providing low-cost programs for at-risk youths. Over the past year, with help from what he calls “a small team of some very dedicated and passionate individuals,” including legal assistance, Liberati has created Steve’s Club National Program, his third business venture. “We are very excited for the changes this program will bring on a larger scale and the benefits it will serve for the greater good of society and our next generation of leaders and athletes,” Liberati says. So what about that fourth business venture? In September 2008, Liberati started making “PaleoKits” in an effort to help the young boys and girls of Steve’s Club eat better during their school day with the limited healthy options they found at their cafeteria. PaleoKits, a vacuum-sealed mix of beef jerky, nuts and berries, quickly became a hit, he says, and it wasn’t long before other gym members started requesting them. He hired some “Steve’s Clubbers” to help fill orders, and within months it became the main source of funding for the club. It was at that point that he decided to form Steve’s Original, and since that time the company has been branching out into a variety of healthy and convenient snacks, eventually partnering with the Rutgers University Food Innovation Center. In addition to the help he’s received over the years from volunteers, he attributes his business success to the lessons he learned as a Lerner College student at UD. “Rather than rely on gut instinct to make important business decisions, my degree taught me to use intuition based on critical thought and analysis,” he says. For other prospective entrepreneurs out there, Liberati offers some advice: “Find what you’re passionate about, and chase excellence, not money,” he says.